Wearing beads at a (muddy) festival is a bit of a no no for me. 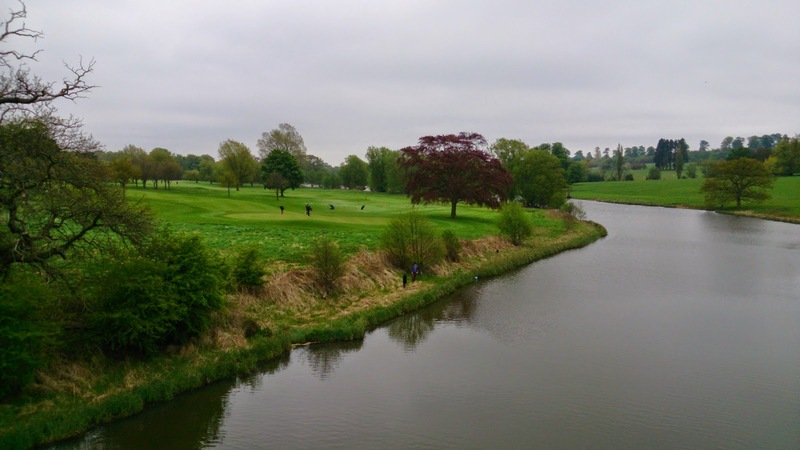 The nice green fields you are seeing were the golf course on the opposite side of the river, this is taken from the bridge. The other side looked a bit less tranquil! How to wear great jewellery in a field! For once there are no beads in this post!